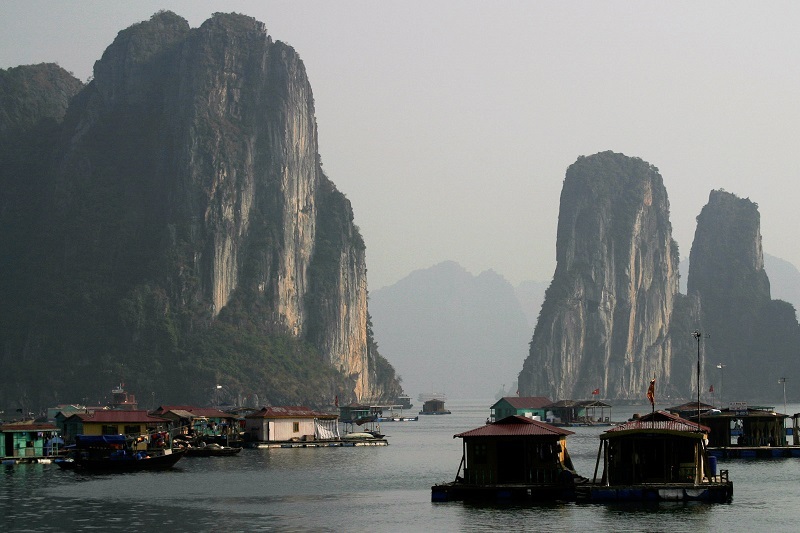 December is one of the most popular months to visit because the Halong Bay weather is perfect for outdoor activities. Let’s have a look in more detail at what we can expect from the typical Halong Bay weather in December. December temperatures are the second lowest of the year (second only to February); perhaps that puts our concept of “winter” into perspective for you! Halong Bay weather in December brings with it a glorious 8 hours of sunshine every day, which is the highest of the year along with November, and March through June. The long, sunny days with little to no rainfall are ideal for travelers hoping to visit Halong at this time. It is widely known in Vietnam that winter is squid-fishing time as it gets colder and also there is fog, which encourages squids to proliferate. Tourists coming to Halong this time of the year cannot miss out on an opportunity to experience the daily life of the locals. Squid-fishing sounds strange to most of us, however, it is not so difficult as it seems. A lot of people who live in Halong manage to make ends meet only by going squid fishing. Squid-fishing gives us an insight into the fishermen’s daily life, how they work and how hard it is to live on, but all those people still keep smiling and are always optimistic about future. That’s why squid-fishing may sounds strange at first but once you give it a try then you would love to do it again and again whenever coming to Halong.